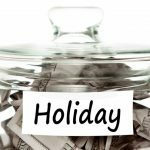 PortfolioCenter Export Wizard fails to connect to database Let us manage the data, so you can manage the money. 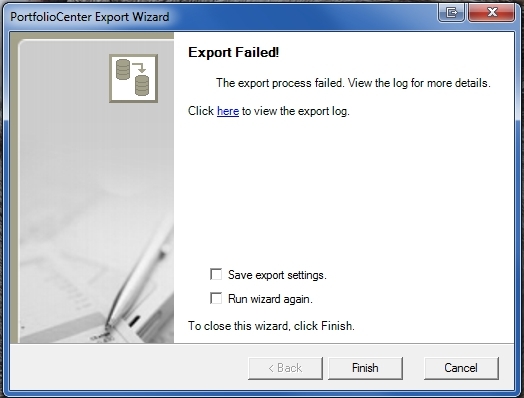 Suppose an SEC Auditor is asking for a transaction export and you see the error “Export Failed!” when attempting to export the ledger from the PortfolioCenter Export Wizard. Wilson.ORMapper.ADOException: Command failed. —> System.Data.SqlClient.SqlException: A network-related or instance-specific error occurred while establishing a connection to SQL Server. The server was not found or was not accessible. Verify that the instance name is correct and that SQL Server is configured to allow remote connections. To solve this, close and open the Export Wizard again, but do not log in yet. Press the drop down dots next to Database Server, replace “Use Default” by choosing your computer from the list. If “Database (SQL)” still says “Use Default”, press the drop down arrow next to Database (SQL) and select your database. Enter your userid and password, click Next to log in. You should see that you are connected to your database. Your export will now work.